What does Karndean Paliocore Flooring at American Carpet Wholesalers have to offer? Great price, great looks, terrific durability, and simple installation. American Carpet Wholesalers has built a reputation for super low pricing and terrific customer service and shipping policies. When you take that into consideration and mix in what is hands down some of the best flooring available from Karndean, like the Karndean line, it’s no wonder you will be happy with your flooring choice! 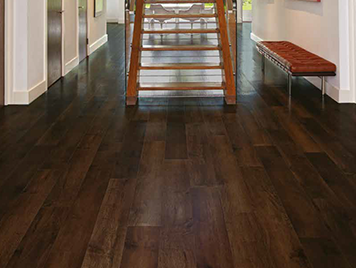 The Karndean Paliocore line of flooring is a luxury vinyl plank that is 100% waterproof. That means you can have the look of plank hardwood flooring in places you never thought possible. Luxurious flooring in a variety of styles can now be yours in the bath, mud rooms, or laundry! The Karndean Paliocore is a 6.5mm thick plank with a 20 mil wear layer and comes with a lifetime residential warranty and a 15 year commercial warranty. Great looking floors come from great looking flooring products and Paliocore fits the bill here as well. Karndean Paliocore is available in eight different styles and our prices can not be matched! Featuring all the intricate details and unique characteristics you’d expect to see in traditional wood flooring, our planks are carefully designed for authenticity. Colours are defined with variable shades and tones, just as they are in natural wood. 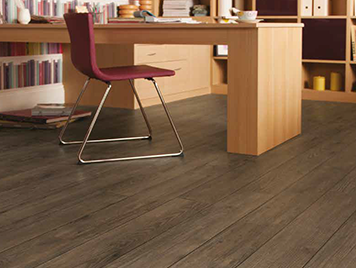 We have a great selection of Karndean Paliocore Flooring – click here– for more! When you visit the site be sure to also call and speak with one of the ACWG flooring experts. You can always be sure to get the best product at the best price when you call. The number to call is 800-548-2706 get your order in today!